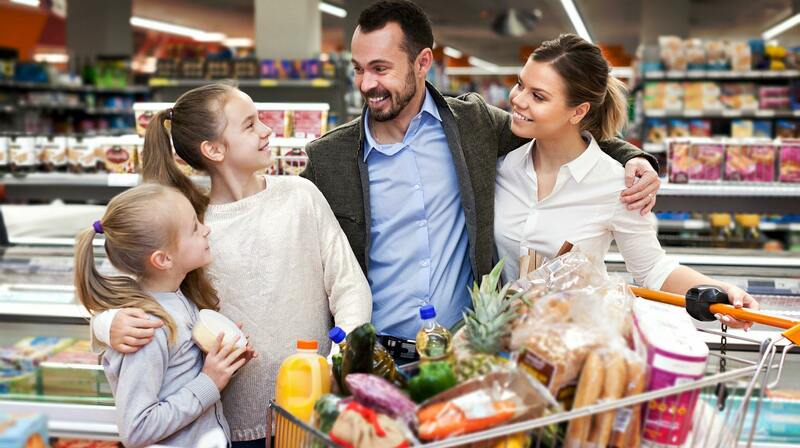 Grocery shopping with kids can be challenging for first-time parents, but you can turn that around and have fun with these tips! Grocery-shopping can be less of a chore with some playful ideas and creativity. It doesn’t have to be a stressful activity for the family. 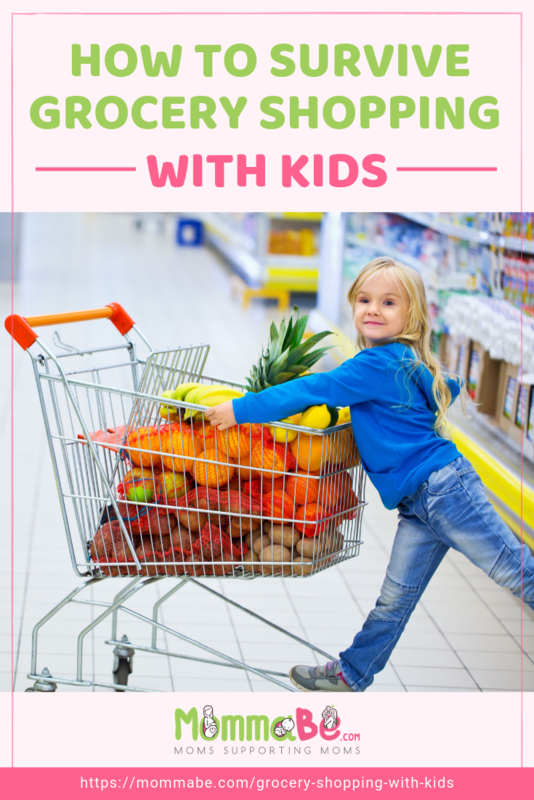 The trick to making this like a play date of sorts is to make grocery shopping a chance for the little ones to explore and learn new things. You can also use grocery shopping to get to know them and their interests, like knowing what food items your kids are drawn to. Think of grocery shopping as game day. You’re the coach, the kids are the players, and the grocery is the field. Before going to the grocery, create a game plan — one that you will stick to. Just like what coaches and players do, they talk about the game plan before the game and make sure to commit to it. Tell your kids what you’re going to buy and what you’re going to do there. Now if they want something or do something outside of the game plan, be open to negotiations. This will make them better understand the grocery isn’t a playground. But if they want to have fun, they can bargain with you. Plus, this helps you save time and stick to your budget as well. Have you noticed when kids throw a tantrum at the mall, it can be an extra challenge for the parents? So, it’s better to anticipate what items you will be needing to pacify them. Be the girl-scout mom or boy-scout dad, you once were. These essentials can include a bottle of milk or water, diaper, and extra clothes (even for older kids). You can also prepare some light snacks and toys to keep them entertained. It helps to be ready, really. The last thing you’d want is to buy unnecessary things in the grocery just to appease your child. Be creative when it comes to keeping your kids engaged during a day of grocery shopping. It’s not just about making sure your kids are well-behaved; you have to try and make the activity interesting for them, too. Bring your kid’s magic wand if they have one for an enchanting day. You can play a treasure hunt game where you find all the items in your list and then give your child a reward after for helping you. What about making it an educational activity? Teach your child about food and nutrition and have a mini quiz afterward. If your child gets the answers right, a fitting reward is given. You can also let the kids sing or recite some nursery rhymes. Playing “Fill in the Blanks” can also help pass time. Some grocery stores have kiddie carts. Opt for one instead of using the ordinary cart. This way, kids will have a chance to “play ride” a car while going through the different aisles or shelves. You may not be aware of it, but children do respond greatly to music. One time, I went to the grocery and watched three toddlers suddenly dance in harmony while sitting in a grocery cart. How they loved the “Sharky Shark Song,” and they turned from silent to a giddy mode while dancing. This is just an example of how music can be a fun interactive activity. Play music or calming songs, and choose popular tunes they are familiar with. Doing this will help distract them a bit when they go on tantrum mode, and you’re not done yet with your task list. You may be surprised to know, but kids can understand responsibility. From time to time, they also like the idea of having a sense of responsibility for a specific activity, after all, they want to make mommy and daddy proud. While at the grocery, your kids can be your little assistants. They can either be a cart pusher, a list checker, or an item finder. At the end of the day, when your child knows that he/she has done a good job with the task at hand, they’ll be looking forward to the two thumbs up again next time. Another activity the kids can look forward to is being a mini bagger. It’s a win-win for everyone. You don’t have to worry about putting the items in the paper bag, and the kids enjoy segregating and packing! That’s another responsibility they can willingly take. It’s not Halloween, but it’s grocery shopping day! Let the kids dress up in their favorite costumes when grocery shopping, just because it’s fun to do so! This will give your day a fun recall so it’s easier to tag them along next time. Don’t sweat out too much on the small stuff. Don’t forget that you have a couple of hours to spend time with the children, and that’s already a small win for you. Do not overthink and don’t come in thinking negatively or expecting the worse. Your kids can surprise, just you wait! It is not just about getting a parenting task done but keeping oneself in tune with what the kids want and look for in a day with their parents. Try these tips and see what will work for the family. So the next time you go grocery shopping, the kids will also look forward to it. Do you have any special tips on grocery shopping? Let us hear your thoughts in the comments section below.